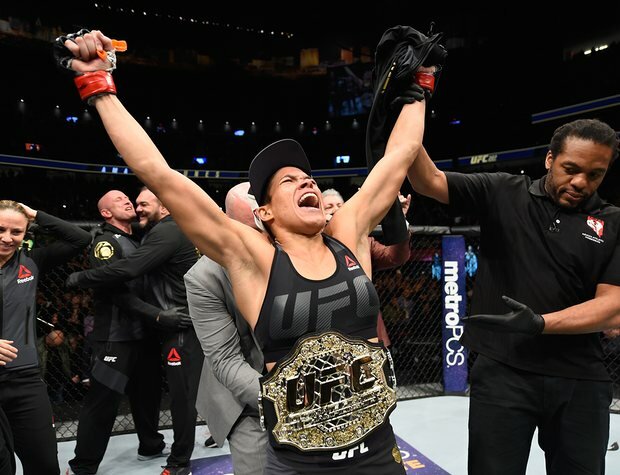 Ronda Rousey’s comeback after a year away from UFC lasted less than a minute after Amanda Nunes stopped her in the first round in Las Vegas. Rousey was stopped 48 seconds into her first fight in 13 months, losing to bantamweight champion Amanda Nunes at UFC 207 on Friday night. Rousey (12-2) never managed to get her footing against Nunes (14-4), who rocked Rousey with her very first punches. Rousey showed little defensive acumen as she staggered and stumbled backward with Nunes relentlessly pursuing her and landing multiple shots. Referee Herb Dean stopped the bout with Rousey still on her feet, and Rousey briefly protested the stoppage before leaving the cage. Cody Garbrandt also won the men’s bantamweight title in the penultimate bout, battering champion Dominick Cruz to earn a surprising decision victory at T-Mobile Arena in the UFC’s traditional end-of-the-year show in its hometown. 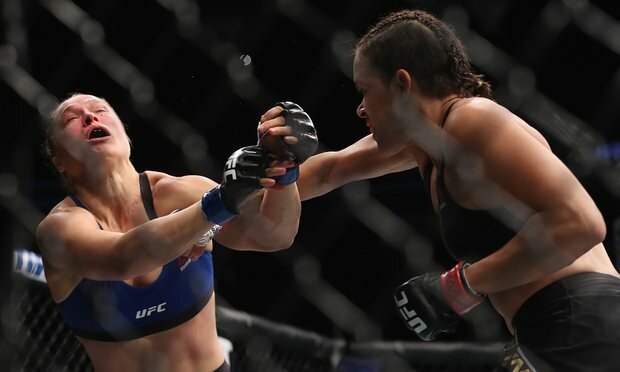 But the crowd was shocked when Rousey couldn’t compete in her first fight since losing her belt to Holly Holm 13 months ago in her first career defeat. Rousey became arguably the world’s most famous female athlete and a combat sports trailblazer while she rocketed atop the UFC, but a year away from the sport apparently did little to heal the holes in her game. She made a guaranteed $3m for her comeback bout, while Nunes’ guaranteed payday was just $200,000.